Dubai has retained its title as the most attractive city in the world for real estate investments among GCC residents, a new study has discovered. The UAE also ranks first among real estate investors in the GCC region, the Real Estate Barometer study by internet-based market research firm, YouGov, and real estate fair Cityscape Global, said. When asked where they felt most confident investing their money globally, 69 percent of Gulf residents picked Dubai as the ‘go to’ city for real estate investment. 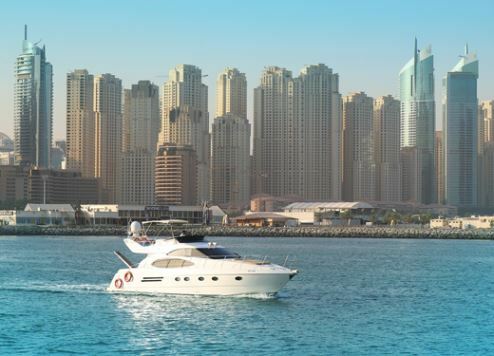 Two thirds (66 percent) also expected the upcoming Expo 2020 Dubai to increase property buyer interest in the UAE. A further 45 percent of respondents chose the UAE as their preferred site for property investment, up from 42 percent in 2016. The research also found that more than half (59 percent) of respondents planning to buy a property in the next year preferred to buy in the GCC. The average budget for real estate investment in the GCC was $717,000 compared to the average global budget of $561,000. The research was announced at the region’s largest real estate exhibition, Cityscape, which was staged in Dubai from 11-13 September. The show’s exhibition director Tom Rhodes said the research provides important insights into current market conditions and helps exhibitors forecast expectations for real estate investment. He noted a “change of investor mind-set” when it comes to the size of property sought, shifting from one-bedroom and studio apartments in 2016 to a majority (54 percent) seeking two- to three-bedroom apartments in 2017. “This could signal a vote of confidence from investors and homebuyers as reports point to a rejuvenation in the real estate sector,” he said.